Understand that without water there is no life. Without sufficient hydration, all other medical treatments are doomed to fail. There is no substitute for good water and no getting around the realities of dehydration. All functions within the body require the presence of water. 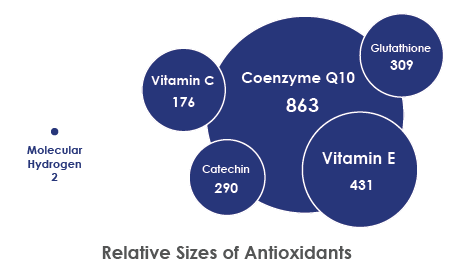 A well-hydrated body enables biological functions to occur quickly and efficiently. One of the secrets to health and recovery from chronic disease is drinking a lot of healthy water loaded with strong healing agents. Water is a medicine. At the Canadian Society of Nephrology’s 2013 annual meeting, researchers reported that chronic kidney disease was 2.5 times less likely to develop in people who drank more than 4.3 liters of water a day than those who drank less than two liters a day. Drinking tap water or any acid demineralized water is going to take one to a grave a lot faster than drinking alkaline mineralized water will. Tap water pH 6.2–6.9 is associated with a fourfold higher risk of type 1 diabetes compared with pH ≥7.7. Water is crucial to biological existence and we find that dehydration removes water layers around proteins that are essential for maintaining the original protein structure. Dehydration also tends to run us down into lower energy states, inflammation and eventually to diabetes, heart disease and cancer. Full hydration is needed for full healing. When treating cancer or any other disease the most basic answer to inflammation is water for any level of dehydration is inflammatory. 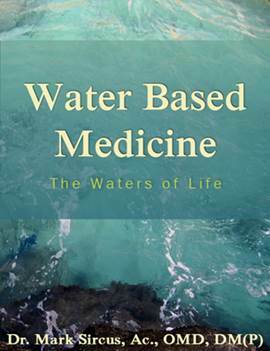 Science and Medicine have been studying miracle-healing waters found in nature for a long time. Most healing spring waters turns out to be high in hydrogen or in magnesium bicarbonate. 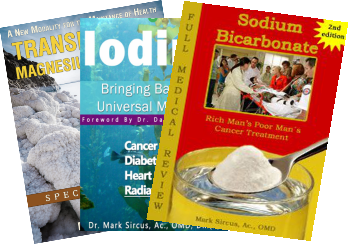 It is not just the absence of bicarbonate in our water that leads to diabetes and other diseases including cancer but also the absence of magnesium. The presence of high levels of magnesium in the water and bicarbonate insures that one’s water is alkaline. One of the main reasons magnesium bicarbonate is effective and strong is because bicarbonate acts as a transporter of magnesium into the mitochondria. After a few days, one can literally experience the extra punch of energy when drinking all your water loaded with magnesium bicarbonate. Healthy healing water is not only pure (filtered) it also has powerful mineral medicines added, principally magnesium, sodium bicarbonate, potassium bicarbonate, hydrogen, iodine, sulfur and selenium. This levels the playing field between water filtration approaches for having distilled water, with its lack of minerals not a disadvantage anymore. Increase of bicarbonates in the bloodstream will prevent aging and the onset of adult degenerative diseases. When treating at home we can approach the power of intensive care medicine if we use water as a medicine. Instead of intravenous medicine, we practice Water Based Medicine. Water is a “whole food” that nourishes our bodies like no other food can. It flushes toxins from the body; supplies needed minerals, and affects the body in subtle ways. When we add the right substances to our water and then drink a lot, we turn our water into a medicine and our medicine becomes our miracle. 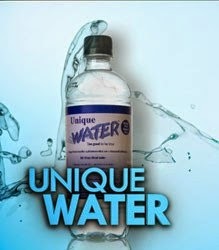 Miracle water brings miracles to our health. It is important to note that people living/working in a polluted environment have fewer amounts of bicarbonates in their blood than people working in a clean environment. The most important function of alkaline water is to increase bicarbonates in the blood because we lose bicarbonates as we age. Everyone who needs to heal himself or herself needs to know about molecular hydrogen. Each drink of hydrogen water will flush our bodies with trillions of hydrogen molecules. H2 is the most effective molecule to scavenger or pair up with other molecules in the body that need to be neutralized. The more water you drink infused with hydrogen the better. Magnesium is necessary for just about everything in the body including the action and manufacture of insulin. Magnesium is a basic building block to life and is present in ionic form throughout the full landscape of human physiology. Without insulin though, magnesium is not transported from our blood into our cells where it is most needed. Little do we appreciate that insulin is not just responsible for regulating sugar entry into the cells but also magnesium. Magnesium deficiency is associated with insulin resistance in obese children. With more magnesium in our water, we would see a steep drop off of heart attacks and strokes. With more magnesium, we suffer less from pain and depression and a host of other ailments. 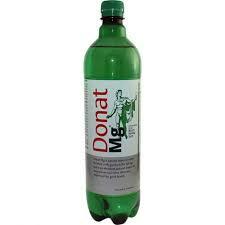 Donat Mg from Europe, Unique Water from Australia and Noah’s from California get my votes as the three best-bottled waters in the world because of the large concentration of magnesium bicarbonate present. Nothing will do more to overcome mitochondrial decay and general low levels of cell energy than jacking in high levels of magnesium bicarbonate into the cells. If one does not live in Europe, California or Australia then one can buy a magnesium bicarbonate concentrate in the States. Another option is pH Adjust, which combines sodium bicarbonate, potassium bicarbonate and magnesium carbonate or just lemon with sodium bicarbonate.